I have a new favourite toothbrush and let me tell you it is simply awesome. Yes a toothbrush that is awesome! Trust me as someone who has sensitive gums that have always bled and easily get swollen, oral care is extremely important to me. Did you know that manual tooth brushing can cause inflamed gums? If you’re still using a manual toothbrush it’s time to think about throwing it away and going Sonicare! 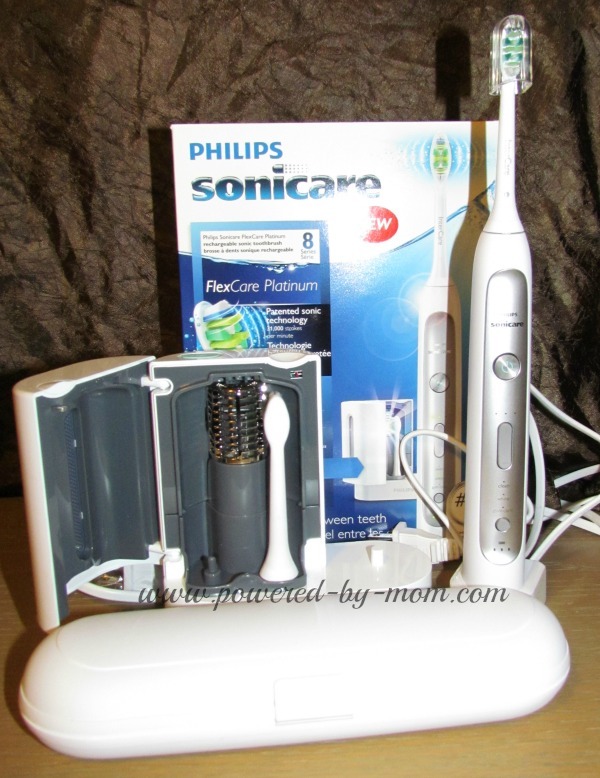 Who knew one could get so excited about a toothbrush but the Philips Sonicare FlexCare Platinum is so much more than that. For me it’s comfort for my poor gums, it’s my customized toothbrush that will tell me if I’m brushing too hard and it even has timers to help encourage a thorough time of toothbrush. 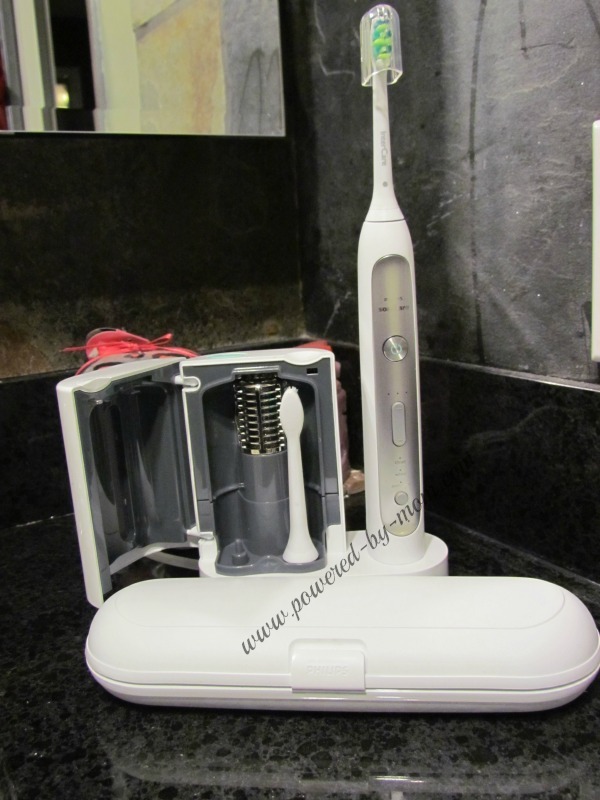 The timers would be perfect for my daughter who tends to rush her teeth brushing all the time so you know there’s going to be another Sonicare FlexCare Platinum added to the family very soon for my daughter’s use. Next to being gentle on my gums I LOVE that I can clean the brush head every single time I use it! Now for me that rocks as I’ve gone through so many from my previous system because I think gross I’ve been using this too long and it you could never clean those ones well enough. Well with this baby you have a UV sanitizing chamber that kills up to 99% of bacteria and viruses! Can we say a big WOO HOO!!! Yes the germ conscious or over conscious in my case if you will can rejoice! I love that cleaning chamber and believe me it’s getting used. You can see both above in open mode on the left and in action on the right, you know it’s cleaning because of the blue light that is on. 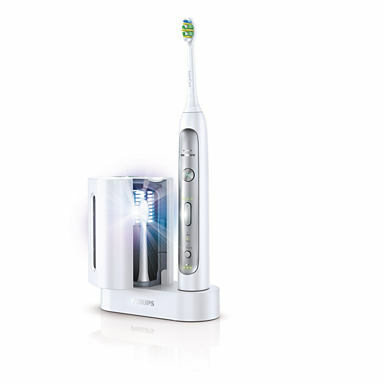 Enough from me if you want to find out even more information on this fantastic system you should check out their site here —>http://www.philips.ca/c/electric-toothbrushes/139852/cat/en/. Now what are you waiting for go and find out more and start taking even better care of your teeth and gums! My husband and I just got these as gifts and we love them. We tossed out our toothbrushes so quick. THis looks like a better way to get your teeth cleaned.. 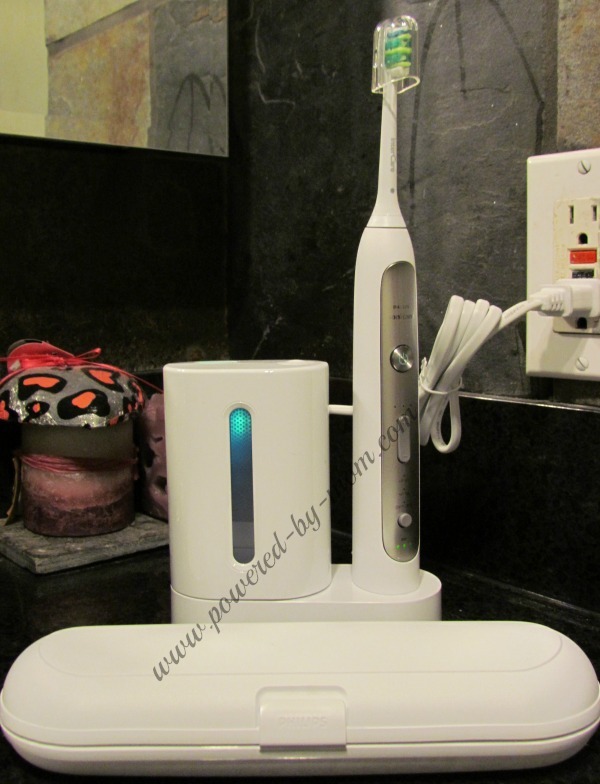 I love the concept as I am having problems with a regular tooth brush and the cleaning chamber just adds to it.. I am in love with that cleaning chamber!! Such an invented little addition to it!